This brand makes an an amazing “flat” sandal with great arch support as it includes a rigid steel shank. Check out this sandal. 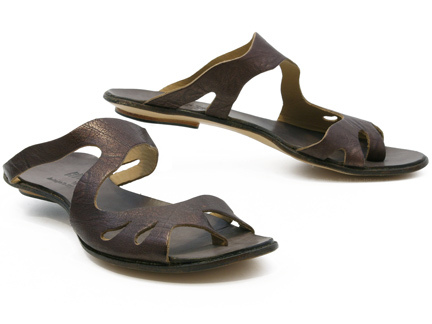 Another amazing sandal from Cydwoq that looks like a thin flat but performs because of it’s steel shank sole. A patient introduced me to this fabulous shoe company yesterday. Their shoes are made in California and this sandal has an amazing steel shank arch support built into it! Hooray for Cydwoq (side-walk)!! !